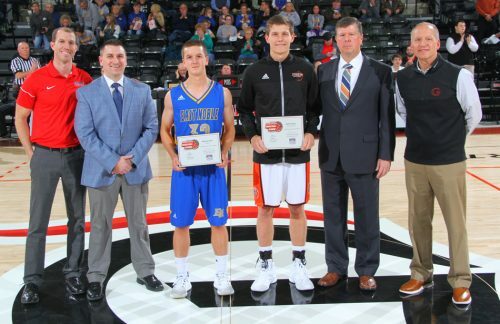 WINONA LAKE – Playing in the Champions of Character spotlight game Saturday night, both Warsaw and East Noble took the floor at one of the Crossroads League’s crown jewel arenas. 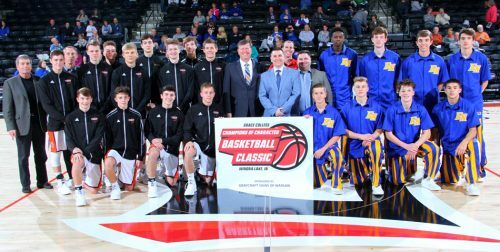 The Manahan Orthopaedic Capital Center then saw the Knights put on a show of its own. East Noble curbed Warsaw’s offense while balancing itself nicely in a 51-34 boys basketball victory. With much of the pre-game attention on East Noble’s Ali Ali, a 6-8 University of Akron commit, the Knights used Ali as a decoy while others stepped into the spotlight. Brent Cox and Hayden Jones each scored 14 points while Nate Dickson finished with 11 points. Ali ended with just eight points, but had five assists and a pair of rebounds. East Noble as a whole had just seven players in its regular rotation and six took shots, but were efficient by going 22-41 from the floor (54 percent). Warsaw, on the other hand, hit just 36 percent of its shots (14-39) and were 1-8 from three-point range. Warsaw got just eight points from its bench, a facet it used to its advantage in a win against Westview last week, and had Nolan Groninger score 15 points but no one else with more than five, where Jaylen Reese ended his night. Luke Adamiec added four points and six rebounds. Warsaw had the opposite effect in the JV game, exploding for a 47-19 win over East Noble. Ten Tigers found the scoring column, led by eight apiece from Jackson Dawson and Brock Poe. 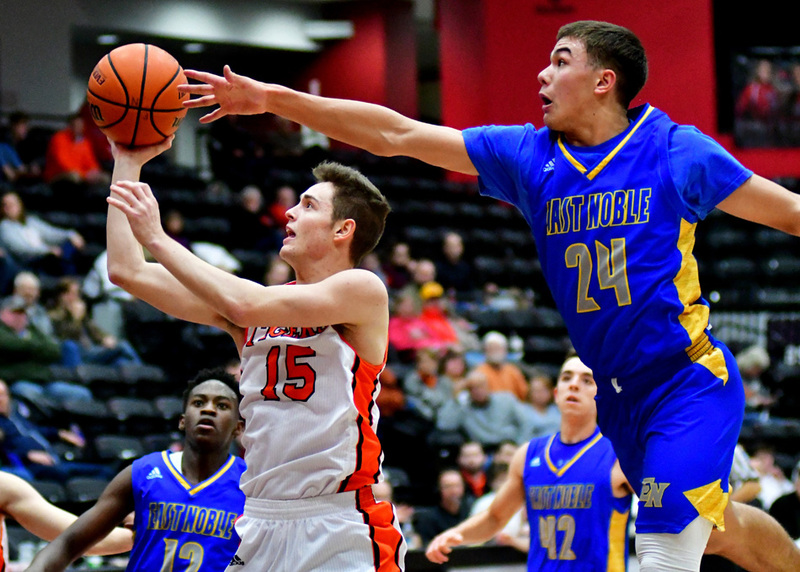 Warsaw (6-4) will take on Northridge Jan. 4 at the Tiger Den while East Noble (8-2) will play Westview on Jan. 3, the Warriors suddenly 7-3 after losing both of its games at the Hall of Fame Tournament on Friday.